When it comes to new and interesting places to eat and drink, Dalston never disappoints. One of the area’s newest players, Molly Bakes, has taken the classic milkshake to a whole new taste experience. Sitting in a snug cafe on Dalston’s busy Kingsland Road, Molly Bakes is a gem you might easily have walked past hundreds of times but never thought to visit. Their stark red exterior doesn’t begin to compare to the shock you’ll get when you order one of their incredible ‘Freakshakes’. 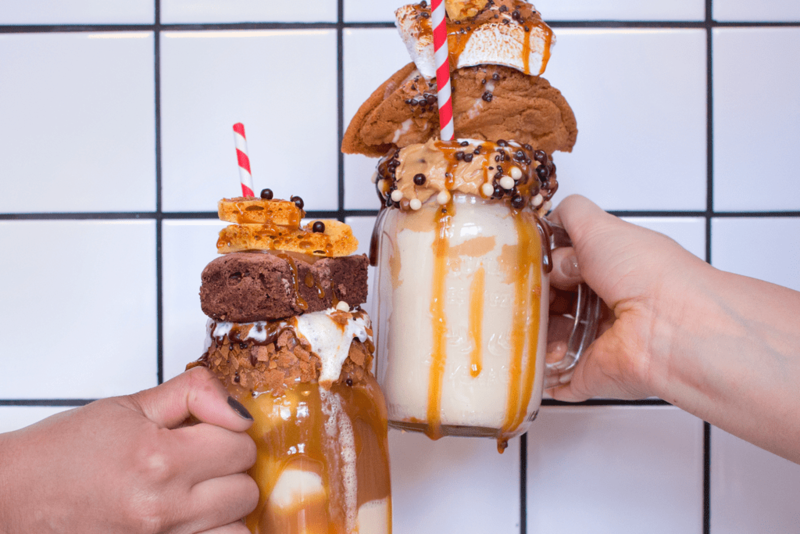 To give some background… First introduced in Australia, the milkshakes – nicknamed “freakshakes” are less milk, and more multiple desserts stacked on each other and topped with ice cream. The bakery was founded by Maria Goodman, a former talent agent who found herself out of a job at the start of the recession. Molly Bakes started as a stall on Brick Lane market, and later moved to a commercial kitchen. 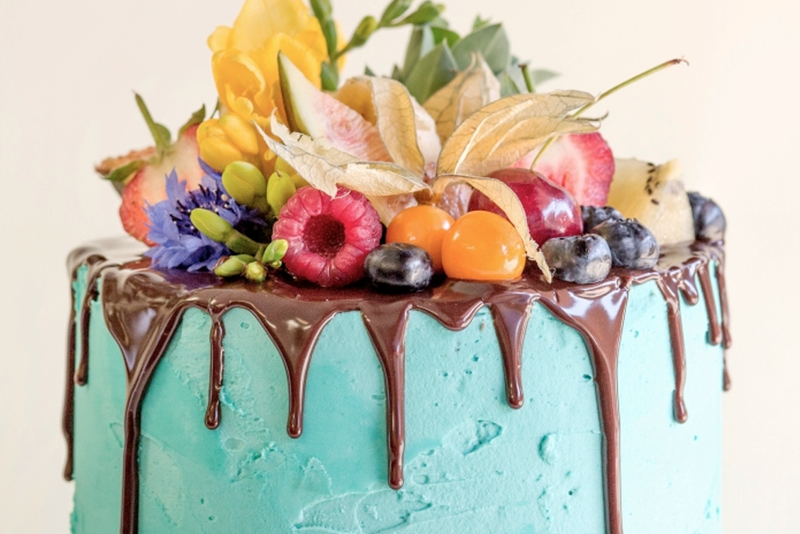 After releasing two recipe books, they opened their full-time premises in Dalston, offering a range of delicious servings including: cakes and bakes, coffees, hot chocolates and other standard cafe delights. The shakes are topped with sauces and brownies/cookies/tartlets/marshmallow/honeycomb all made in house. If you can handle more than one, they’re available in four flavours Chocolate, Peanut Butter, Raspberry and Caramel with a promise of more to come. They recently took their trendy “freakshakes” to the London Coffee Festival, where they teamed up with Baileys to make a delectable alcoholic version of the East London favourite – topped with a peanut butter brownie. And if you don’t like milkshakes, you’ll love the colouring books at every table. 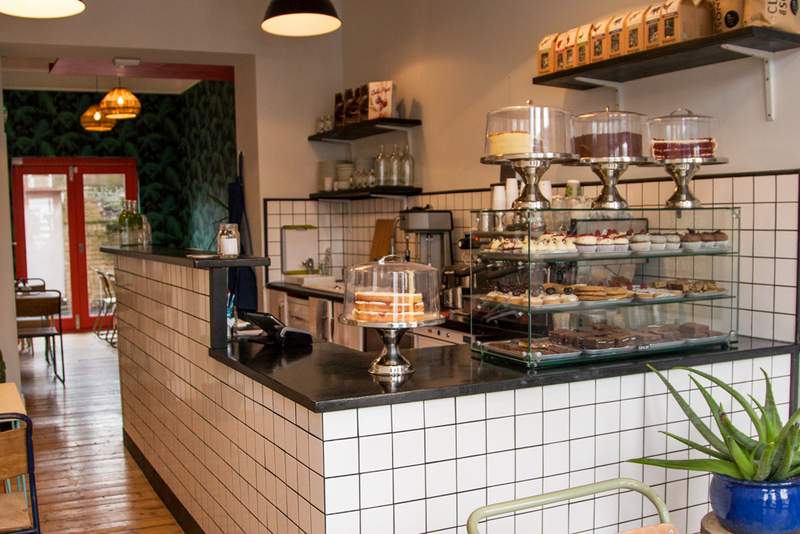 Find Molly Bakes at 450 Kingsland Road, London E8 4AE and online here.